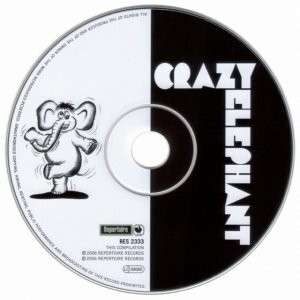 After failing to secure a recording contract with Buddah Records, the Kasenetz-Katz production team-sponsored band Crazy Elephant found a home with Bell Records and released a self-titled album. 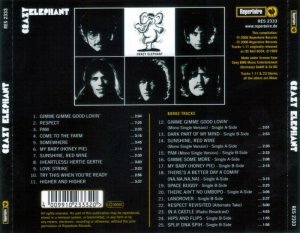 This Rock in Beat release is a straight reissue of that lone album from the band originally released in 1969 and includes one bonus track. 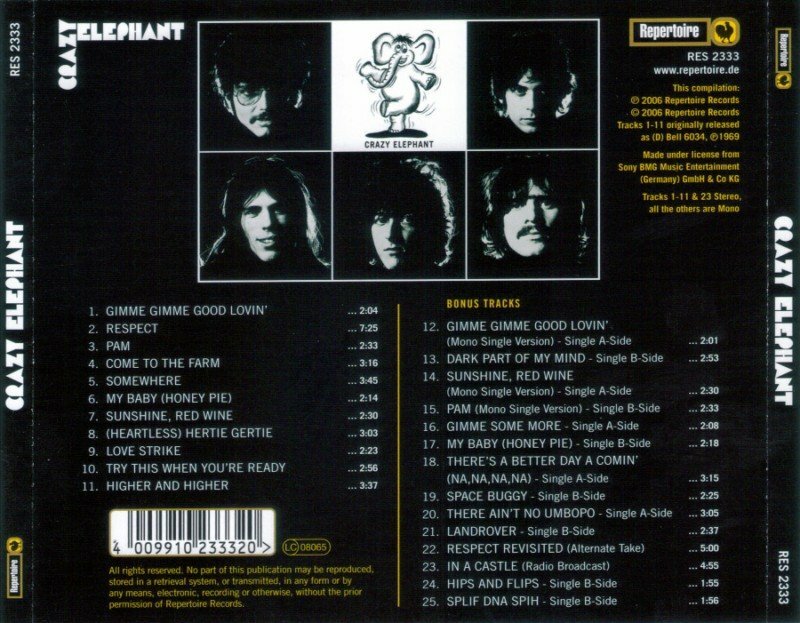 The album contains mainly original compositions by band members and Kasenetz and Katz together with an odd psychedelic R&B cover of Otis Redding's "Respect" and the very strange heavy version of the Leonard Bernstein song "Somewhere." 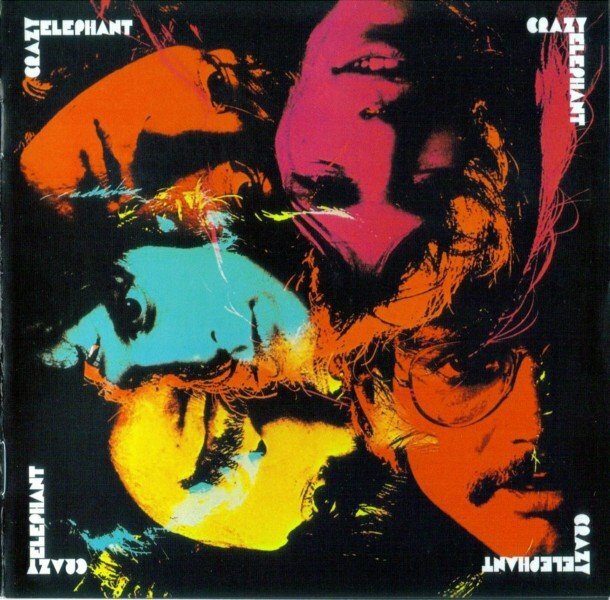 While the music on this album does have a bubblegum feel to it, the entire album is more overtly psychedelic with swirling organ, fuzz guitars, and even horns, in the style of a less heavy Vanilla Fudge or Rare Earth. Crazy Elephant did manage to produce a hit single in 1969 with the song "Gimme, Gimme Good Lovin'" that featured vocals by Robert Spencer, former lead vocalist from the '50s band the Cadillacs.